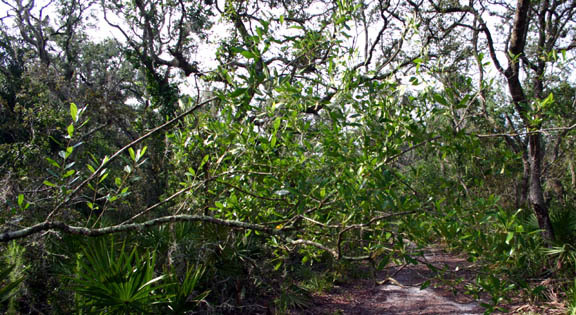 A frequent scrub plant occurring only in the central Florida peninsula. Scrub wild olive is differentialed from Cartrema americana by the globose drupes that will grow to 2-2.5 cm in diameter at maturity. 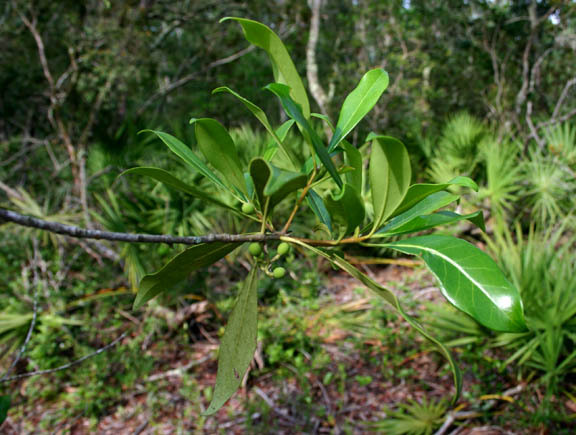 Cartrema floridana is a member of the Oleaceae - Olive family.